Anxiety-free traveling- How to take a vacation and actually relax! After the holidays end, the travel bug kicks in. Not only does the bug start to appear more and more, but Spring Break comes up quickly as well. For some traveling is exciting, but it can also be a pain. Do you want to learn how to ease into vacation better? Are you looking to actually relax and enjoy the trips you take? Whether you are alone or with your family it is possible to eliminate travel anxiety as your constant and primary companion. First and foremost, resist the urge to procrastinate. If you know that the budget is tight, and you need to be scoping out travel costs and hotel prices, make this a fun part of the planning process. It can be fun by making the time for it and not pushing it off until the last minute. So, try setting aside time in your schedule for planning around lodging and how you are going to get to your destination in a way that doesn’t break the bank. The more you put it off, the more it will feel like a burden as opposed to an exciting part of the trip. Try to keep in mind the times that you have successfully approached barriers and difficult situations during previous trips. You may not realize this, but you are already your own traveling expert! That’s right…you are your own expert! This is a good reminder for many different situations that can come up in daily life, and if you take the time to do this you will have a tool you can use forever. “How do I do start?” you might ask. Start by acknowledging that you are the primary expert on all things you! Therefore, take some time to reflect on difficult moments when you have had to approach anxiety-ridden situations and how you successfully got through those times. This exercise will help you come up with tools you can use if similar situations arise while you are away from home. Think You’re Afraid to Fly? You May Not Be. 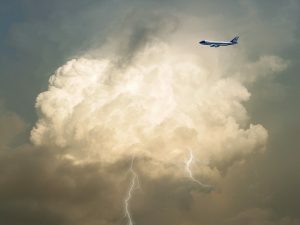 Fear of flying is one of the most common phobias in the United States. You may have a flying fear yourself, or, if not, you definitely know someone who does. A vast majority of the population reports experiencing at least some level of discomfort while flying. For many people it is such a crippling fear that they simply refuse to get on a plane anymore. People frequently use alcohol and/or prescription (or even non-prescription!) medication to help themselves get through a flight with less anxiety, and most people feel a sense of relief once they have landed safely at their destination. But what if I told you that it’s not actually the flying part that freaks you out? 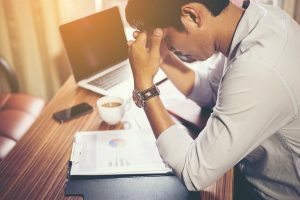 As a therapist specializing in Anxiety treatment and the treatment of Obsessive Compulsive Disorder (OCD), the most common question I hear is, “How do I get rid of my anxiety?” My honest answer is, “You can’t.” However through anxiety treatment and Cognitive Behavioral Therapy you can learn skills to manage symptoms of both disorders, and we can teach you how! I don’t say this to be discouraging or pessimistic, but I have to be realistic. Anxiety is a natural and necessary emotion that all humans–and, in fact, most living animals–experience. 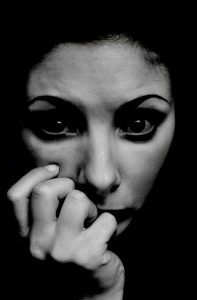 Anxiety is the response that warns us of immediate danger and cues our reflexes to move us out of harm’s way. Without anxiety, we would not know instinctually to jump out of the way of a moving car or to duck if someone throws something at our heads. However, with an Anxiety Disorder, those cues get thrown off and people tend to interpret harmless situations–and even their own thoughts, feelings, and physical sensations–as immediate threats. So while you can not ever “get rid of anxiety,” you can learn to discern the difference between danger and discomfort, challenge your anxiety-provoking thoughts, and manage your physical symptoms of anxiety so well that it no longer interferes with your life in any way. For this post, all I want to do is to extend the invitation to anyone and everyone out there struggling with any type of anxiety to send me your questions. If there is something I don’t have an answer for or a piece of advice on, I will be honest and provide you with additional helpful resources. A key component of overcoming anxiety and OCD is gaining as much education as possible about those subjects, and I am happy to share what I know to help out in that respect. Even though you don’t know me, you have to believe me when I say that you are completely capable of mastering your anxiety. I say that because all the counselors at Chicago Counseling Center have personally witnessed hundreds of people do it, using the proven therapeutic methods that we have taught them. If you want to learn more, don’t hesitate to contact us today.